This interview appeared in the July/August 2011 issue of Dimensions magazine. 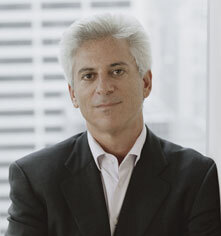 In the face of today’s massive organic movement, Michael Specter lauds synthetic drugs and genetically modified foods. Specter, staff writer at the New Yorker and author of the 2009 book Denialism: How Irrational Thinking Hinders Scientific Progress, Harms the Planet, and Threatens Our Lives, does not factor political correctness into his crusade to conquer fear with facts. Here’s a taste of what he’ll discuss as a featured speaker at the 2011 ASTC Annual Conference in Baltimore, hosted by the Maryland Science Center, October 15–18.